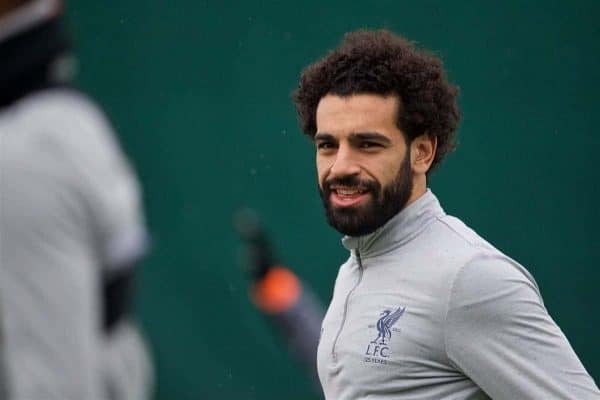 Liverpool have been handed a huge boost with the news that Mohamed Salah has returned to training ahead of the second leg against Man City. The Egyptian wide man has been a crucial part of the side this season, but left the field early in the first leg against City. He missed the weekend draw against Everton as a result, with the Reds struggling to fashion many chances in the absence of both he and, for most of the game, Roberto Firmino. Earlier on Monday Jurgen Klopp had suggested it was “more likely than not” that the No. 11 would return to action this evening—and so it has proven, much to the relief of Reds fans everywhere. A further boost came with the sight of both left-backs also in action, Andrew Robertson and Alberto Moreno. 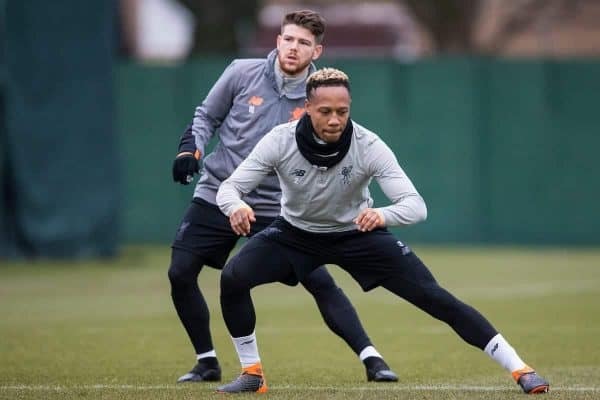 Their returns, along with the fit-again Nathaniel Clyne and Ben Woodburn, significantly boosts the options available to Klopp in a key period of the season. The three young academy players on the bench against Everton—Rafael Camacho, Curtis Jones and Conor Masterson—were also all still involved with the seniors. (Goalkeepers not involved in open session).